We have previously described in the BNN how therapies can take advantage of the memory reconsolidation window to reduce the power of traumatic memories. Five minutes to one hour following active emotional recall of a traumatic event, a ‘window’ opens during which therapies can revise or extinguish the traumatic memory. A 2017 article by our Editor-in-Chief Robert M. Post and Robert Kegan in the journal Psychiatric Research describes how the reconsolidation window could theoretically be used to prevent recurring depressive episodes. The theory is based on the idea that depressive episodes initially stem from stressors, but eventually become ingrained in the brain’s habit memory system. Cognitive behavioral therapy during the memory reconsolidation window might be a good way to disrupt these habit memories. In exploring this new therapeutic approach, Post and Kegan suggest that it might be best to begin with patients whose depressive episodes are triggered by stressors. The patient would be encouraged to recall the memory of the particular stressor and any emotions related to it. Then they would be prompted to reframe the memory, either by recognizing adaptive aspects of their response, focusing on their youth at the time of the stressor in the case of childhood memories, addressing any guilt the patient may feel, or other techniques used in trauma therapy. Evoking positive feelings during this period via relaxation exercises would be another useful practice. In addition to targeting stressors that precede depression, the stress of the depressive experience itself could be a target of reframing during the reconsolidation window. Questions remain, such as whether to target early or more recent memories, and whether this technique would be as useful in reducing manic episodes. Patient characteristics might also affect the success of this type of therapeutic intervention. Post and Kegan also address how the therapy might be used in different stages of illness, and how it might be combined with other therapies, such as medications or procedures such as repeated transcranial magnetic stimulation (rTMS). In adults with bipolar disorder, adversity in childhood has been associated with an earlier onset of bipolar disorder compared to those who did not experience some form of adversity such as verbal abuse, physical abuse, sexual abuse, loss of a parent, abandonment, or neglect. At the 2013 meeting of the Society of Biological Psychiatry, Nancy Low et al. reported that the number of these stressful life events a child experienced was associated with the number of their anxiety symptoms, psychiatric disorders, and lifetime substance abuse. Having experienced 3 or more adversities was associated with a 3.5-fold increased risk for developing a mood disorder and a 3-fold increase in anxiety disorders and alcohol or drug abuse. While the study has not yet been published in a peer-reviewed journal, the abstract (#194) may be found in the meeting supplement, Volume 73, Number 9S of the journal Biological Psychiatry. Editor’s Note: Low’s study is the first to report that childhood adversity is a risk factor for the onset of bipolar disorder in the general population. Given the increasing evidence for the persistence of epigenetic marks on DNA and histones (which can’t change the sequence of genes but can change their structure) in those who have experienced such stressors in childhood, this could provide a mechanism for the long-term vulnerability of these children to the development of mood disorders and a variety of physical illnesses. In research published since 2008, our Editor-in-Chief Robert M. Post and colleagues in the Bipolar Collaborative Network have compared patients with bipolar disorder in the United States to those in Germany and the Netherlands. Compared to the European sample, patients in the US have more genetic vulnerability to bipolar disorder (by having a parent with bipolar disorder), earlier onsets of their illness, more complicated courses of illness, greater treatment resistance, and more medical comorbidities. Patients in the US also have more psychosocial stress. The researchers are now turning their attention to these psychosocial vulnerabilities, and in a new paper that will be published in Psychiatry Research (late in 2013 or early in 2014), the authors show that patients in the US had more stressors both in childhood and just prior to the onset of their illness. 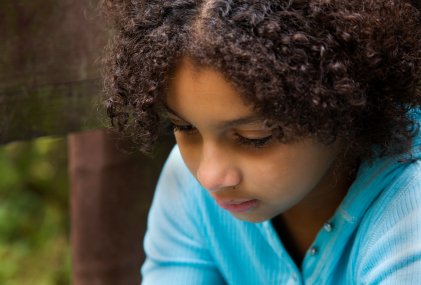 Childhood stressors analyzed in the study were verbal abuse, physical abuse, and sexual abuse. Stressors in adulthood included indicators of a lack of social support, troubles with finances or employment, lack of access to health care, and medical comorbidities. The stressors patients experienced just prior to their most recent episode of bipolar illness were related to: stressors in childhood, an earlier age of illness onset, anxiety and substance abuse comorbidity, lower income, both parents having an affective illness such as depression, and feeling more stigma. The new research suggests that for patients with bipolar disorder in the US, adverse life events in childhood and later in life are more prevalent than they are for patients in the Netherlands or Germany. Earlier and more effective approaches to these stressors, such as the Family-Focused Therapy developed by David Miklowitz and Kiki Chang, could potentially slow the onset or progression of bipolar illness in this country.